Last Sunday we met up with our antenatal class mummies, daddies and little ones for a joint first birthday celebration. Despite the weather we had a lovely time and little one thoroughly enjoyed herself in the ball pond (almost as much as her daddy)! She wasn’t as sure of the ‘Meet the Animals’ show though. I think she managed to get as close as possible to the bunny rabbit and baby goat without actually touching them. 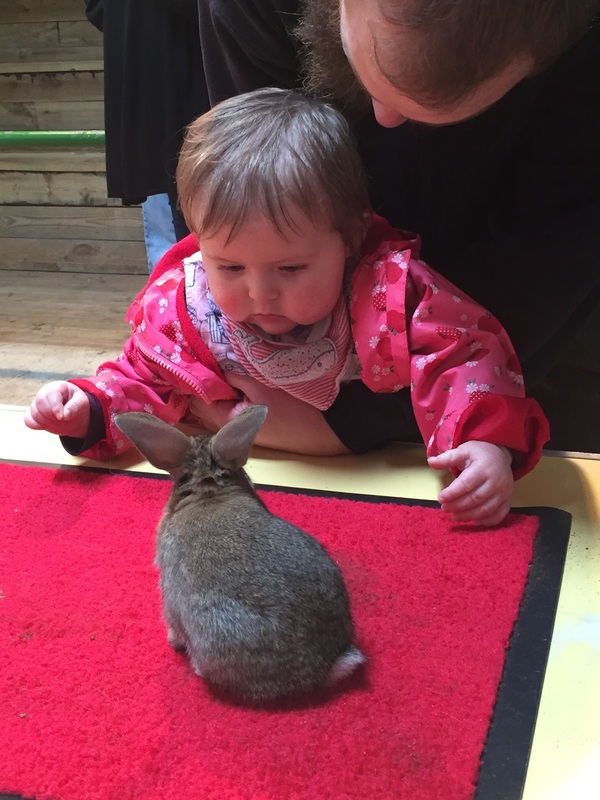 Stare off between little one and little bunny! When it came to lunch I was armed with an array of dairy free treats. Violife cheese scones, vegetable tarts, bagels, blueberries, grapes, celery… But no. The chips provided for the children were little one’s favourite and most of her packed lunch ended up on the floor. Oh well. She did demolish a homemade banana and oat muffin (see my previous post for recipe) with my dairy free cream cheese icing. Up until now I thought spaghetti bolognese was the messiest food for a baby led weaner. However after washing little one’s hair free from icing, I realise I was wrong. 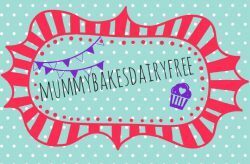 It’s fair to say the icing went down a treat and I’m looking forward to using it when I make little one’s dairy free birthday cake. Less than one week to go to the big day. Time really does go too fast. 1. Allow the dairy free spread and dairy free soft cheese to come to room temperature as it makes it easier to handle. 2. Mix the dairy free spread and dairy free soft cheese together in a bowl until creamy. 3. Add the icing sugar a third at a time and beat until smooth. I find it easier to add it in thirds so I don’t get covered in icing sugar! 4. Gently spoon onto the cupcakes. The finished icing isn’t as stiff as regular dairy cream cheese frosting and has a runny consistency. For a stiffer icing I omitted the ‘butter’ element and made an icing two parts violife creamy and one part icing sugar e.g. 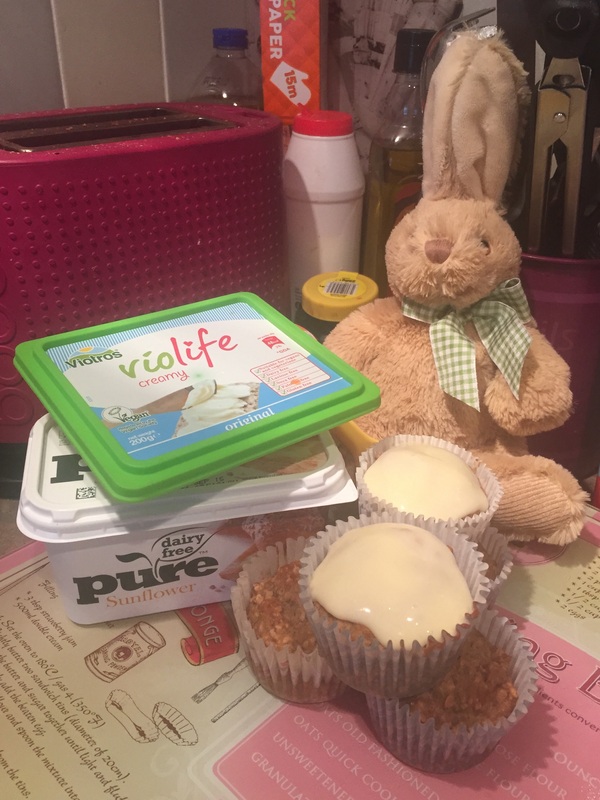 100 g violife creamy 50 g icing sugar. I beat the violife creamy until it was looser and then mixed in the icing sugar 1 half at a time. This produced a much firmer icing but wasn’t as buttery. You could also add flavourings such as vanilla extract. Another option would be to add colouring. I find gels have a good finish and are easy to use. Dairy free cream cheese icing.